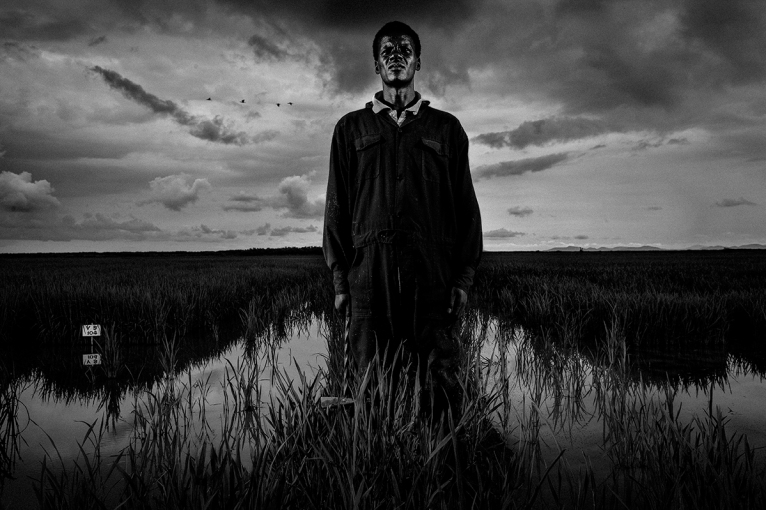 A laborer in the newly built rice-fields of Dominion Farms, the largest private American investment in Kenya. The farm is controversial as it has been reclaimed from traditional swampland. Local villagers believe this annexing of tradtional wetland has compromised their water sources which have been diverted for the rice production. This is increasingly an issue as water is being reserved for elite farming operations across Africa, much of the food being produced is for export and does not benefit the local people who have lost their access to traditional water sources.